I saved up to buy the MLP Show Stable, but I have no idea what happened to it, which is a shame as both my children would love playing with it now. 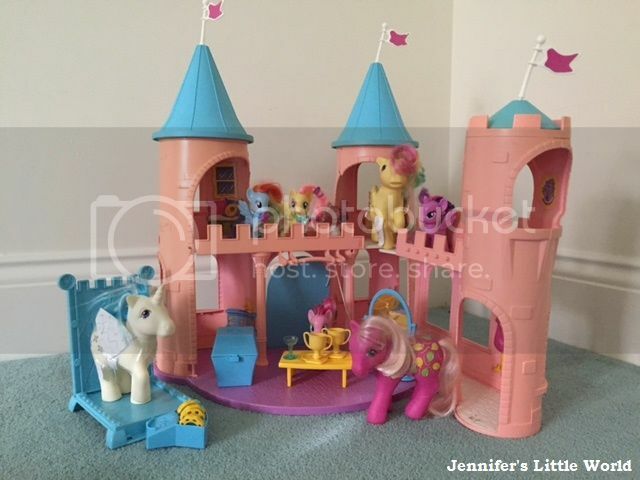 Fortunately my sister in law kept her Dream Castle and ponies so they get to play with vintage MLP toys when they are visiting. I think that it was the show stable that my sister had, I wonder if she still does! I think the old ponies are much better, it was more about them actually being ponies, brushing their tails and making them jump through hoops and such.